The Native Business Summit will deliver value-packed networking, a business tradeshow, exhilarating speakers and thought leaders, informative breakout sessions, business matchmaking, a golf tournament and more. Register by Friday, March 29th, midnight PST, to save 15 percent with our advance registration rate for the Native Business Summit, taking place May 13-15, 2019, at the Hard Rock Hotel & Casino in Tulsa, Oklahoma. Native Business will execute the Native Business Summit with two powerful directives in mind: driving value and delivering attendees a return on investment. Hosting a national event was always integral to the Native Business brand for Gary and Carmen Davis, who founded Native Business in summer 2018. Within a few months’ time, Native Business launched an online news platform NativeBusinessMag.com and released multiple print editions of Native Business Magazine, sharing unprecedented and insightful business content with readers worldwide. In addition to covering news across 24 sectors of business, such as finance, energy, federal contracting and insurance, Native Business Magazine profiles visionary business leaders, innovators and industry disruptors making waves across Indian Country. Imagine those business luminaries featured within the pages of Native Business Magazine — those trailblazers for opportunity, self-sustainability and prosperity — united over the course of three energy-packed days of networking, engaging forums, informative breakout sessions, business matchmaking, a business tradeshow and more. “How can the Native Business Summit drive value and innovation? How can Native Business provide more and better information? How can Native Business really connect with attendees, inspire them, motivate them and help them?” asked Gary Davis (Cherokee Nation), Publisher of Native Business Magazine. These questions have guided the focus of the Native Business Summit. 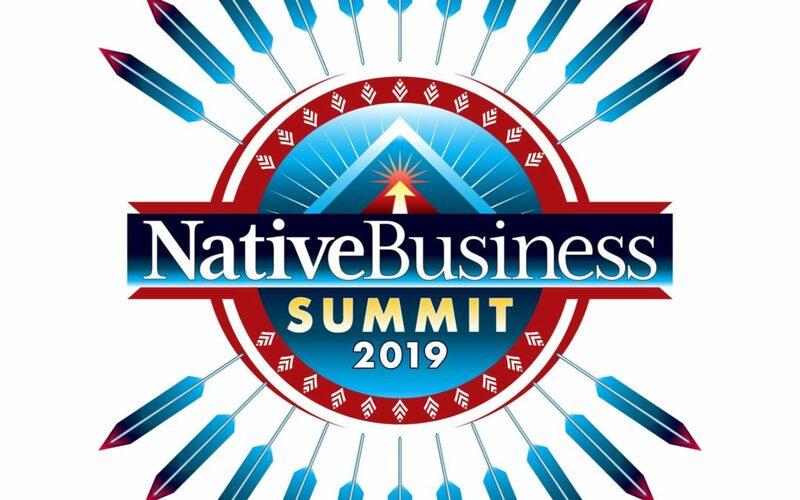 Native Business will host the Native Business Summit at the Hard Rock Hotel & Casino in Tulsa, Oklahoma, May 13-15, 2019. Native Business anticipates between 350 and 500 people will come together to learn, network and grow their strengths as businesspeople and leaders. Creating the Native Business Summit was a natural move for Gary Davis, who has amassed a successful resume of co-producing value-driven business events across the United States. A long-standing advocate for expanding economic opportunity for Tribes, Alaska Native Corporations and Native American entrepreneurs, Gary has co-facilitated 14 national Native American business conferences prior to the Native Business Summit. The Native Business team also includes a seasoned event staff with expertise in planning and producing large-scale business conferences and tradeshows. Gary has previously served as a Board member, and then as the President and CEO, of the National Center for American Indian Enterprise Development, which presents the annual Reservation Economic Summit (RES) in Las Vegas. At the National Center, Gary oversaw and expanded RES nationwide during his near five-year tenure leading the organization. An accomplished Native entrepreneur and champion for business development and growth, Gary Davis has also received the U.S. Department of Commerce Minority Business Development Agency’s National Director Special Recognition Award. He was appointed to the U.S. Small Business Administration’s Council on Underserved Communities, and as an Ambassador of the U.S. Department of Energy’s Minorities in Energy Initiative. While Gary proudly reflects on his past experiences, he noted that the Native Business Summit will be unique. The Native Business Summit won’t replicate mainstay, national business conferences. Rather, it will execute the sharing of powerful new content while offering the opportunity for forming career-changing connections. The Native Business Summit will embrace innovation and empower positive disruption. Register now for the inaugural Native Business Summit at NativeBusinessMag.com/Summit. Save 15 percent with advance rate pricing by Friday, March 29th. Native Business constantly keeps its finger on the pulse of business news and developments across Indian Country. “That really helps us when we’re crafting the agenda and Summit content. It gives us a very, very unique perspective on topics most applicable and relevant to business right now, and what we’re leaning toward in the future,” Gary said. Forums at the Native Business Summit will address technology and cybersecurity, infrastructure, healthcare, corporate diversity and more. Breakout sessions will dive into finance and capitalizing Indian Country, entrepreneurship including the power of self-sovereignty, small business training and startup basics, accounting, human resources, gaming, agriculture, hemp and cannabis, and energy. “The Native Business Summit agenda covers those things in as much of a consolidated fashion over a three-day period, so that people really have a strong takeaway. When they come to this event, they’re better when they leave it than when they arrived,” Gary said. Delivering attendees a return on investment propels Native Business to push the envelope with top-notch content at the Native Business Summit. Native Business wants attendees to return to their businesses and lives equipped with new insights and an ambitious mindset to reassess and analyze how they can enhance their business performance — given the great content they heard, information and resources they received, and connections they formed at the Native Business Summit. Intrinsic to that mission is keeping the energy and momentum of the Native Business Summit alive after the three-day event comes to an end. One way Native Business will do that is by memorializing powerful panel discussions and breakout sessions via the Native Business Podcast. Native Business will deliver key insights and takeaways from the Native Business Summit into bite-sized content videos available via the www.NativeBusinessMag.com website. Visitors to the site can also opt to access longer form video recordings of breakout sessions and panel discussions in their entirety. “The Native Business Podcast will also conduct one-on-one interviews with business and Tribal leaders — rolling out those critical insights and knowledge over the weeks and months following the event and leading up to the next Native Business Summit,” said Carmen Davis (Makah Tribe), Publisher and Executive Editor of Native Business Magazine. Native Business believes in taking conversations often relegated behind closed doors and sharing that wisdom and those critical perspectives with Indian Country, so everyone can excel and do better. Cherokee Nation Principal Chief Bill John Baker; Mandan, Hidatsa and Arikara Nation Chairman Mark N. Fox; Ho-Chunk, Inc. CEO Lance Morgan — the cover subject of Native Business Magazine’s March “Infrastructure” issue; and Cherokee Nation Treasurer Lacey Horn — featured on the cover of Native Business’ December Finance issue, will each serve as a featured speaker at the Native Business Summit. Native Business Summit attendees will additionally have the opportunity to hear from various Tribal and Alaska Native Corporation leadership, and executives of enterprises and corporations who are advancing economic development in Indian Country. In a similar vein, the Native Business Summit facilitates opportunity for corporations and investors to network and speak directly and in-person with Tribal businesses and Native entrepreneurs. “I think the Native Business Summit will benefit non-Native corporations and investors, because oftentimes, corporate America wants to do business with Indian Country, but they don’t know where to start. With the Native Business Summit, we’re bringing people together and acting as a bridge. It’s about speaking to the right people,” Carmen said. At the Native Business Summit tradeshow, dozens of exhibitors will showcase their products and services, including an array of Tribes, Tribal enterprises, banks, and individual Native-owned businesses. “Our tradeshow provides attendees a way to meet and engage amazing businesses doing great things across Indian Country. It’s a marketplace for business owners and Tribes to learn more about innovative companies who have beneficial products and services,” Gary said. Cherokee Nation Businesses (CNB) has signed on as the presenting sponsor of the Native Business Summit — a testament to Native Business’ potential, integrity and success in its first year of business. “This summit provides a unique opportunity for Tribal leaders to come together in celebration of our achievements industry-wide and to further advance our combined capabilities in an ever-growing and changing marketplace,” said Steven Bilby, president of CNB’s diversified businesses. The Native Business Summit is proud to count sponsors from across Indian Country. “Meanwhile, we’re also thrilled that there will be a huge amount of local support in attendance,” Gary said. Sponsorship and registration revenues will cover summit costs, as well as support the longevity of the magazine. “While the revenues will go to underwrite the cost of the event, the profits from it will help us sustain the publication and ensure the long-term self-sufficiency of the magazine,” Gary noted. Event sponsorship and onsite opportunities can be found at nativebusinessmag.com/summit-sponsorship. The premiere Native Business Summit is only the beginning of an ever-expanding network of business visionaries coming together to advance Tribal and Alaska Native business and Native American entrepreneurship. Each year, the Native Business Summit will grow in size and impact. Ultimately, the Native Business Summit will help stimulate and catalyze business creation and growth today and for future generations of Native people.